The job of the Director of Development is to establish, manage, and develop public and private philanthropy for the Young at Heart Chorus, Inc, a registered 501(c)(3) non-profit arts organization. You must be able to raise money. Your performance is evaluated by the amount of money you raise for the organization. This is not simply a grant-writing position. 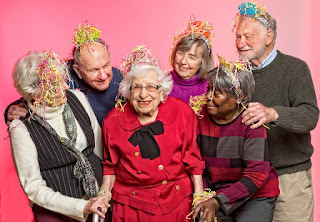 We are looking for someone with a track record of successfully generating new revenue and who is willing and able to quickly build relationships with those individuals and corporations who have the financial capacity to contribute significant dollars to the Young at Heart Chorus. The right individual for this position will not hesitate to "make the ask." The Development Director is charged with maximizing the financial gift support to the institution by seeking public and private contributions in order to increase the overall capacity of the Young at Heart. They will also be responsible for establishing and implementing a wide range of advancement policies and procedures for individual donors, family funds, corporations, and foundations, with an emphasis on identifying, writing, and submitting successful grant applications. Applicant must understand, appreciate, and be able to articulate the future, ongoing, and past work of the Young at Heart Chorus. Applicant must possess very strong writing, proofreading and collaborative abilities with great attention to detail. The Development Director will serve under the supervision of the Executive Director and the Director of Operations of Young at Heart, Inc. The Development Director will function with a high degree of independence, keeping supervisors informed of their work. Completed work is reviewed for soundness of overall approach and alignment with the mission, needs and direction of the organization. Responsible for managing and coordinating all fundraising activities for Young at Heart. In this capacity, he or she will work closely with supervisors in establishing private funding priorities and advise them on trends in the philanthropic world which affect organizational priorities. Responsible for creating and implementing a sound development plan and set of procedures, to ensure the efficient pursuit of private and public funding. Responsible for coordinating and managing the relationship of the institution with corporations, foundations and individuals from who funds are sought for various programs and projects of the organization. Must possess an understanding of current philanthropic and public relations interests of individuals, foundations or corporations, acquired through regular contact with those individuals and organizations. In turn, he or she maintains the necessary relations program to keep the institution name and achievements alive in the minds of individuals, corporate and foundation executives and board members. Candidate must be very experienced and up-to-date on current fundraising strategies and the changing goals and interests of corporate and foundation philanthropy to allow the organization to respond to shifting priorities and develop opportunistic interests into requests for funding. Responsible for planning fundraising strategy and for carrying out specific projects. Identifies potential sponsors and settles on the appropriate targets for funding. Either alone or with other organization personnel, approaches individuals, corporate and foundation officials and negotiates the terms of their support to the organization. Maintains records of all past and current approaches to outside funding sources so as to avoid unnecessary and undesirable conflicts. Creates and manages a funder database for individual, corporate, and foundation donor cultivation. Responsible for all administrative work related to grant applications, final reports, thank you letters, and all necessary communication. The job will begin September 3, 2018. After 6 months the job performance will be evaluated and a decision will be made to continue or terminate. Preferred 5 years Development experience and a Bachelor's Degree. 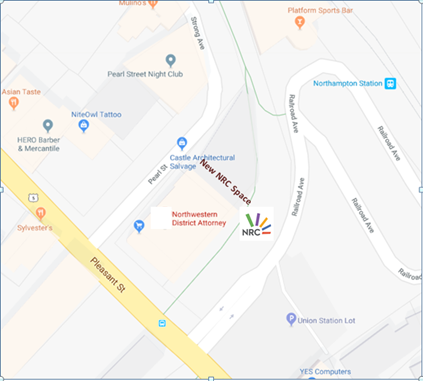 WHERE: The City Sports Grille at Spare Time Northampton, 525 Pleasant St. Northampton. 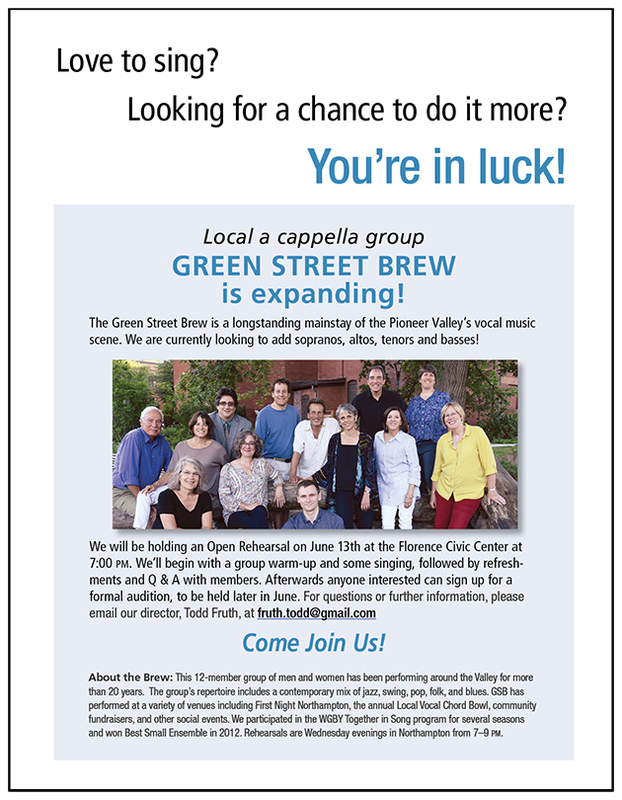 Also, a reminder that the Pioneer Valley Jazz Shares is gearing up for their new season and here is a link to their upcoming concerts. www.jazzshares.org. 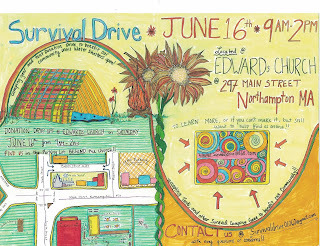 And, the next Soundworks Gathering at the Flywheel in Easthampton is Thursday, July 5th. The Springfield Cultural Partnership (SCP), the umbrella organization for the Springfield Central Cultural District, seeks a full-time creative, dynamic, and entrepreneurial Director to manage, promote, and fundraise for the Partnership’s initiatives. These include: establishing annual and long-term goals for arts and culture to make Springfield the center for creative arts in the region, and establishing networks among cultural, business, educational, and governmental organizations. This role is 35 hours/week, results-oriented, flexible, and requires some evening and weekend commitments. SPRINGFIELD -- The city is offering grants for the installation of public art displays in the Cultural District downtown, seeking art that is "inspirational and positive in nature" and that reflects a city-inspired theme. The city anticipates awarding multiple grants, ranging from $1,000 to $10,000 each and totaling $25,000, under the city's federally funded Community Development Block Grant program. All bids are due by July 31 at 2 p.m. at the Office of Procurement at City Hall. Complete bid packages are available by calling 413-787-6290. Deadline: June 29, 2018 at 12:00 pm PST. Designed for early to mid-career choreographers, this program supports three projects in initial stages of development. 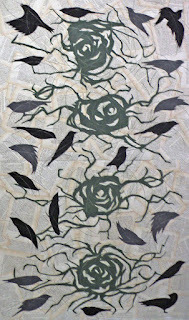 The focus is on providing artists with space and time to dive into a generative process and formulate their impulses. 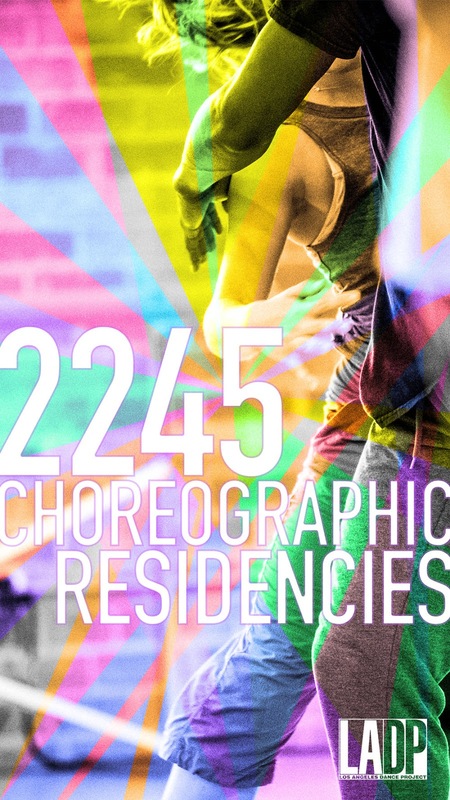 Individuals, companies, and collaboratives are encouraged to submit applications for dance and multidisciplinary projects that combine dance with technology, visual art, installation, music, or other mediums. Projects should not be previously performed or presented and not require additional technical support. 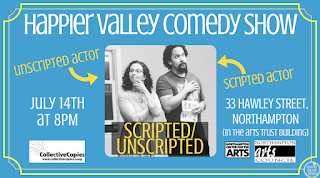 If selected, artists receive one week of rehearsal in the 55’ x 54’ main studio at 2245. The facility includes a sound system, sprung marley floor, central AC system, private changing rooms, and parking. 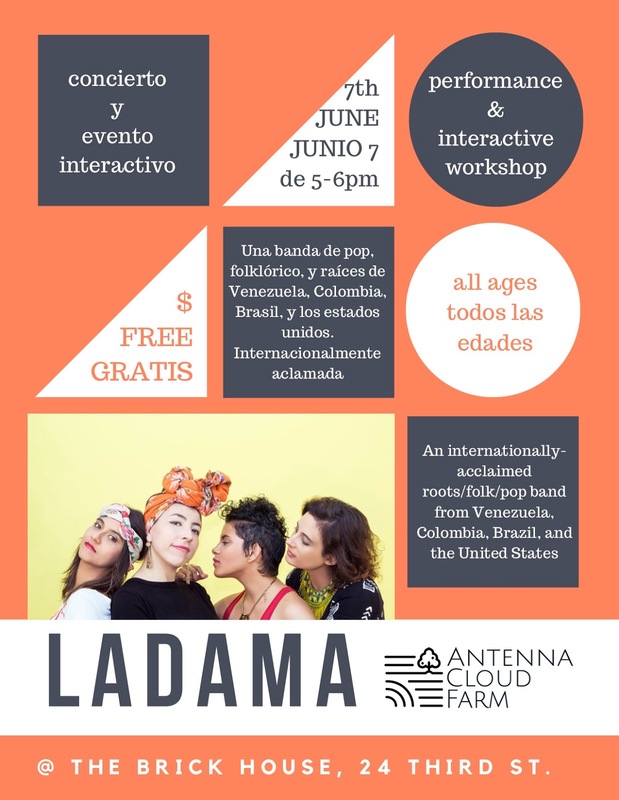 The week will culminate with an informal public presentation and conversation with the artist, supported and promoted by LADP. Only complete applications submitted through the online form will be considered. Applications are reviewed by a panel comprised of LADP artistic staff and creative collaborators. The program is designed to provide vital infrastructure for Los Angeles based artists, and places emphasis on work that reflects/connects to the unique histories, environments, communities, issues and artistic legacies that define it. Selected projects receive 24-hour access to dedicated space for a one- or two-week period at Automata in Los Angeles’ Chinatown District, as well as additional financial support in the form of a modest stipend. 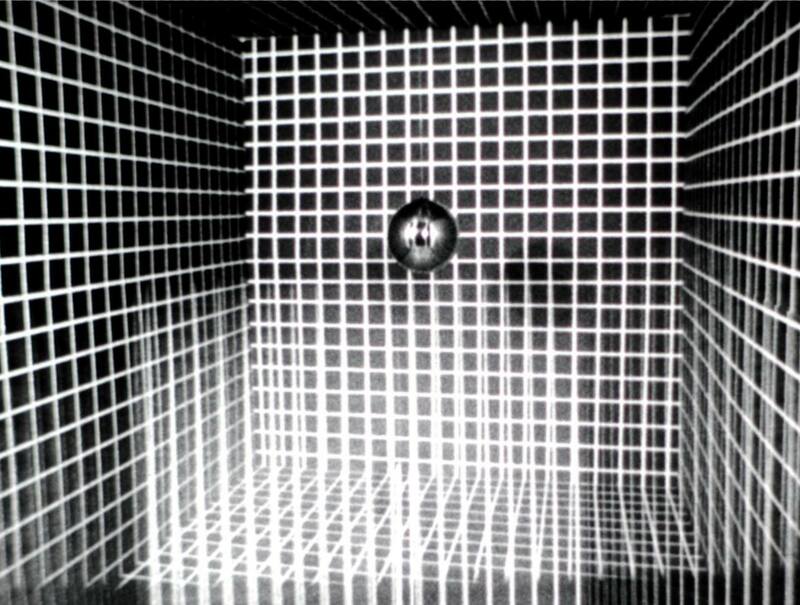 Automata is an alternative performance space/gallery, suitable for small to mid-scale projects, that either need minimal technical infrastructure or construct their own systems of design and installation. Los Angeles Performance Practice and Automata offer development residencies for Southern California artists creating new works in contemporary live performance. We encourage applicants whose projects align with our missions—works that explore the intersections of object performance, media, visual art, sound art, experimental writing and live performance, and/or employ innovative approaches to collaboration, technology and social engagement. The program is designed to provide vital infrastructure for Los Angeles based artists, and places emphasis on work that reflects/connects to the unique histories, environments, communities, issues and artistic legacies that define it. 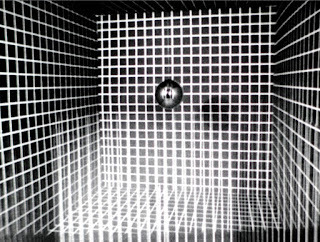 Each residency will be crafted in collaboration with the proposed project’s artistic team, who are asked to identify specific areas of research, development and/or collaboration, along with a minimum of one point of public engagement, which may take the form of conversations, workshops, showings or other activities open to the public. 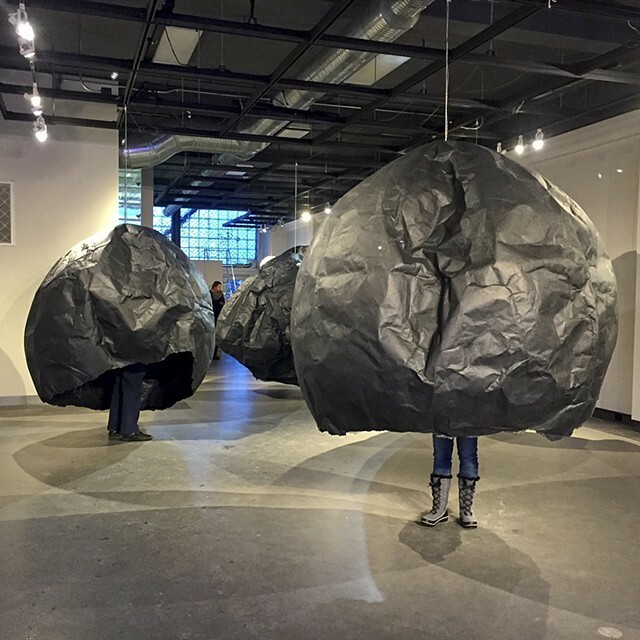 In addition to supporting the quality of works being developed, we also seek to extend the dialogue about contemporary performance, as well as connecting institutions, audiences and students to the creative life of artists. Easthampton, Mass. - Many wagers were placed before the Boston Red Sox won the World Series in 2004, but few outcomes compare to the artistry of world-renowned luthier and inlay artist Harvey Leach’s “Reverse the Curse” guitar, which is now for sale at Goat Peak Strings in Easthampton, Mass. In 1999, California-based luthier, inlay artist, and avid Boston Red Sox fan, Harvey Leach, put forth a wager that when and if the team ever won the World Series again, he would do a special commemorative inlaid guitar for the cost of one of his basic builds. Fast forward to 2004, the Red Sox win the World Series against the St. Louis Cardinals, and an anonymous buyer emerges. The build begins with wood from cedar wine casks made in 1918, the last year the Red Sox won the World Series with Babe Ruth before trading the star player to the New York Yankees. Leach used the highest quality walnut for the back and sides, and bound the guitar with bloodwood for all the years of suffering Red Sox fans had to endure. Some of the most collectible and desired guitars ever built are adorned with Leach’s inlay artwork. Most notably, Leach contributed his artistry to the 1.5 millionth C.F. Martin Guitar ever made: the famous Leonardo Da Vinci Guitar which is insured for over a million dollars and kept in Martin's personal museum. The Reverse the Curse guitar fretboard features the Red Sox logo eclipsing the Yankees’, followed by the year 2004 in roman numerals. The neck is topped with a kokopelli motif made to look like MVP Manny Ramírez. Leach designed a diamond-shaped sound hole featuring 2004’s playoffs teams at each base pad: the Yankees, Houston Astros, and St. Louis Cardinals. For a closer look, check out Goat Peak Strings on YouTube. Electrify Amherst! 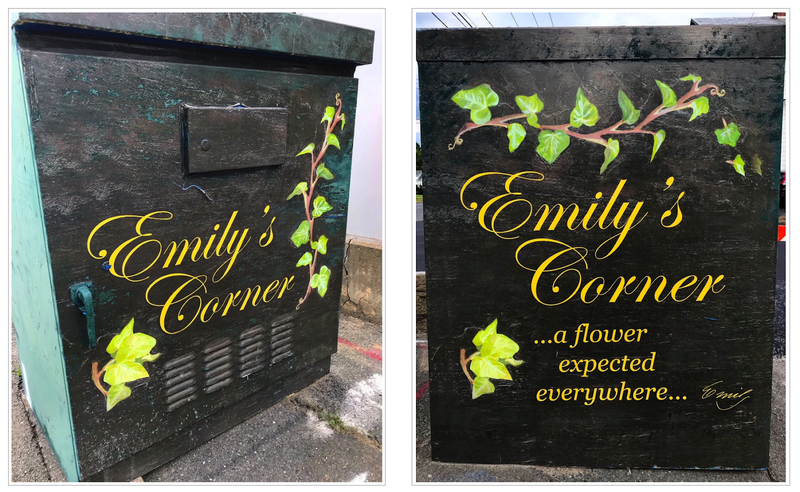 The Electrical Box Makeover Project is a project designed to increase the presence of public art in Amherst and the Amherst Center Cultural District by inviting artists to create unique and imaginative paintings on three designated utility boxes in downtown Amherst. “Electrify Amherst! 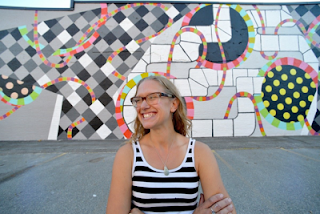 is a great opportunity to bring more public art into downtown Amherst and for artists and the Amherst community to connect,” said Amherst Public Art Commission member Amy Crawley “We want Electrify Amherst! to showcase some of the many talented artists in our community and celebrate our town.” Three selected artists will receive a stipend of $350 each. Artists can submit proposals for Electrify Amherst! 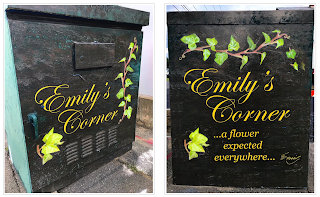 The Electrical Box Makeover Project until the July 15 DEADLINE. The three selected artists will be determined by a 5-person jury that will consist of two members of the Amherst Public Art Commission, 1-2 downtown business owners, and 1-2 local artists. The Northampton Arts Council is delighted to present our city’s 34th annual New Year's Eve festival of the performing arts on December 31, 2018. One of the ways to be considered as a performer for First Night 2019, is to fill out our NEW online form. If you are interested please click here. The deadline to submit an application to be considered is August 31, 2018. 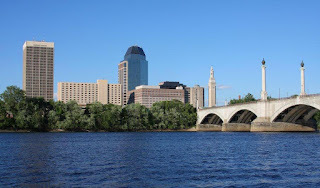 WHEN: Tuesday, June 26th, 7:30 to 8:30PM followed by an open jazz jam session until 10:30 PM WHERE: The City Sports Grille at Spare Time Northampton, 525 Pleasant St., Northampton. 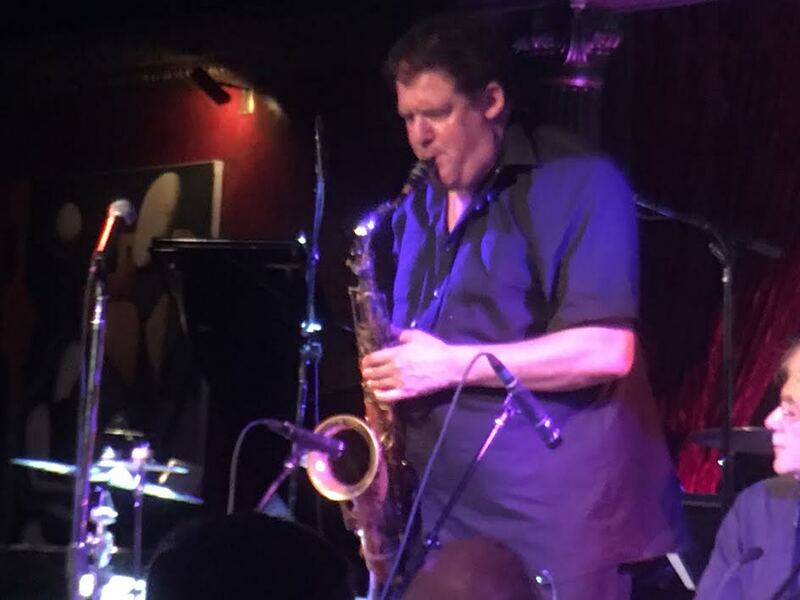 This week we are pleased to welcome back for the second time a wonderful and eclectic saxophonist who makes his home in both NYC and Portland, OR. Rob Scheps has performed/recorded with everyone from Henry Threadgill and Julius Hemphill to Gil Evans, Jaki Byard and Dianne Reaves and even PDQ Bach. It should be a lot of fun and pretty amazing to boot I'm sure. http://www.robscheps.8m.net. Joining Rob, George and I will be his good friend and frequent collaborator, also from NY, drummer Jesse Simpson. A little bit about our guest drummer who is also a pianist. Jesse hails from Graton, CA and now based in Brooklyn. 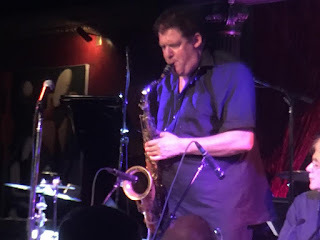 After growing up performing around the San Francisco Bay Area, studying with legendary drummer Donald Bailey, he moved to New York in 2007 to attend the Manhattan School of Music, graduating in 2010. Since that time, Jesse has performed alongside Louie Bellson, backed comedians Fred Armisen and Janeane Garafalo and played with Marc Copland, Kevin Hays, Joe Lovano, John Abercrombie, Chris Cheek and many more. 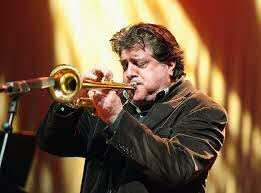 He regularly performs in New York as well as on tour with many different groups in Europe. 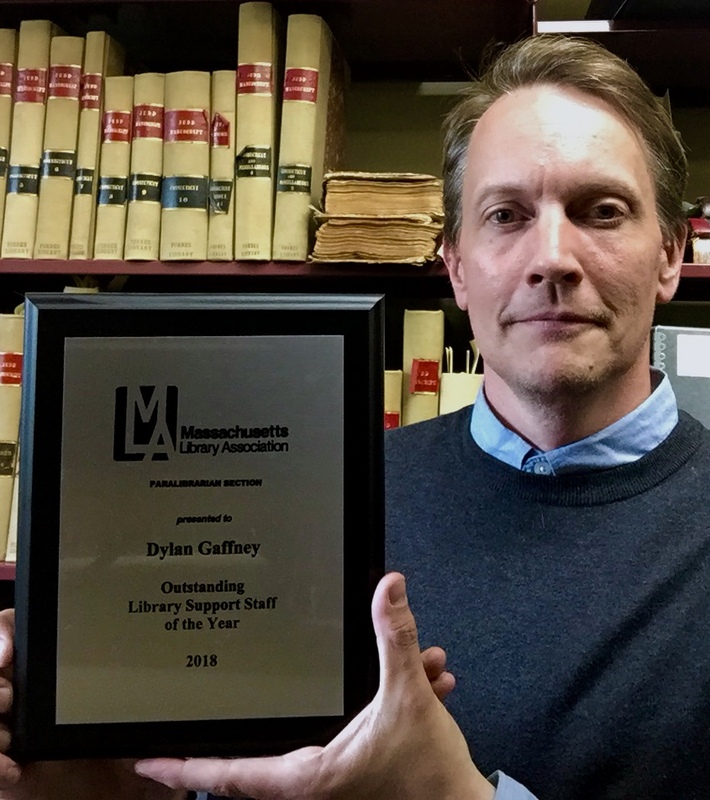 Dylan Gaffney, Senior Library Assistant at the Forbes Library, has been awarded the 2018 Paralibrarian of the Year award by the Massachusetts Library Association. This competitive annual award is given to one library support staffer who has gone above and beyond. 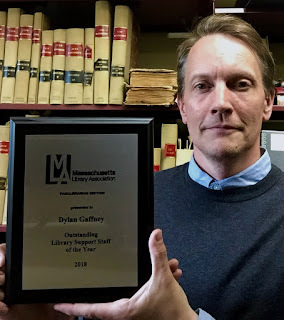 Dylan impressed the nominating committee with his work at both the local and statewide levels, and received a complimentary 1 year membership to the American Library Association. Our favorite jazz couple will be performing with us on the 19th. Vocalist Nicole Pasternak and saxophonist Ralph Lalama make a great musical team when they perform together and we are thrilled to have them back for their 6th appearance at the Workshop. Over Ralph's impressive career starting with Woody Herman, Buddy Rich, and the Mel Lewis Orchestra – now the Vanguard Jazz Orchestra – he has honed the craft of sonic blending. This also applies to his blending with his wife on the bandstand. Nicole has a beautiful sense of swing and an infectious and uplifting stage presence and together things just take off and fire up. Joining us will be the great drummer Jimmy Madison. We can't wait to play all three of them again. 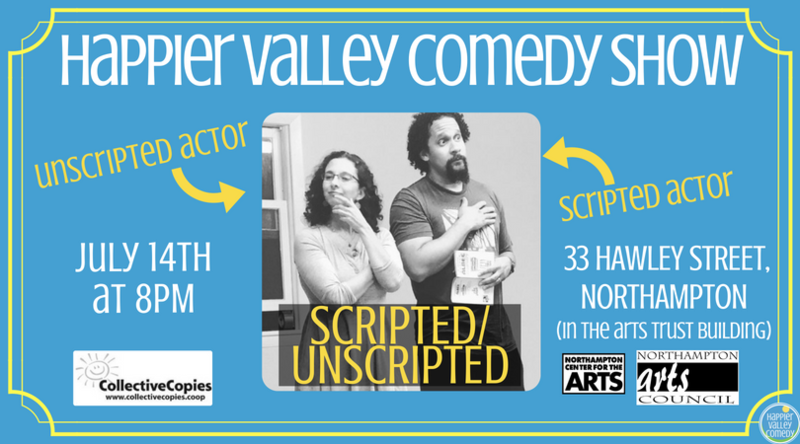 Hope you can make it for really fun show. Your opinion matters and we want to hear it. The City of Worcester is now accepting proposals from artists and designers for the creation of a series of public art features for the Main Street Reimagined Project. The intent of Main Street Reimagined is to supplement the new streetscape with custom public art installations - including functional and decorative elements - to add interest to and activate the public space. Public art installations will reflect elements of Worcester's history, culture and community in creative and interesting ways through the themes of creativity, innovation and revolution. 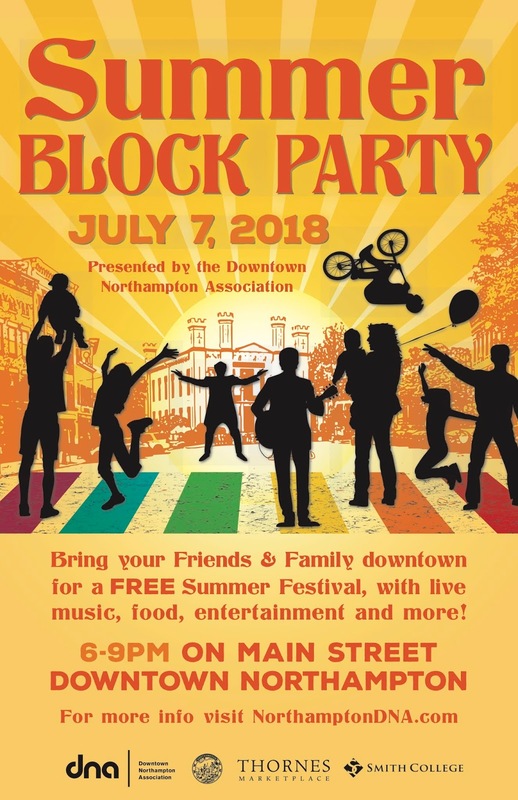 "As we continue to make our downtown a lively and walkable 18-hour destination, public art will be a major component of our strategy," said City Manager Edward M. Augustus Jr. "This project is a great opportunity for local and regional artists to help make visual and functional enhancements to Main Street." Eligibility: Open to all artists, artist teams, and design professionals with experience in public art and monumental features. Professionals residing in or with studio space in the city of Worcester and the New England region are encouraged to apply. 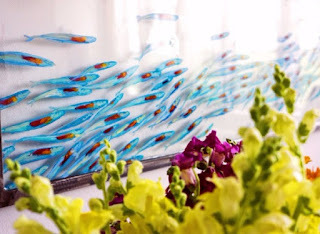 Artists/designers who want to bid are responsible to check HERE for addenda. With questions, please contact the City's Purchasing Director Chris Gagliastro. Deadline: July 13, 2018, 10 a.m.
More details about the RFP may be found at http://www.worcesterma.gov/main-street-reimagined. The goal of the Collaborative Workspace Program is to accelerate the pace of new business formation, job creation, and entrepreneurial activity in communities, by supporting infrastructure that fuels community-based innovation. Eligible collaborative workspace applicants may apply for either Seed Grants for predevelopment and feasibility work, or Fit-out Grants for building improvements and equipment purchases. We are excited to announce the opening of our third competitive funding round on June 11, 2018. Proposals are due in electronic format via email at cowork@massdevelopment.com no later than 5:00 PM on Friday, July 20, 2018. Funding decisions are expected to be announced at the end of September. 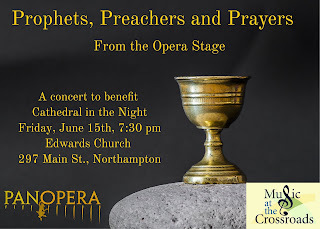 WHERE: Pulaski Park, 240 Main St, Northampton, MA 01060 and Forbes Library Lawn, 20 West St, Northampton, MA 01060. Part performance, part participation, all fun! 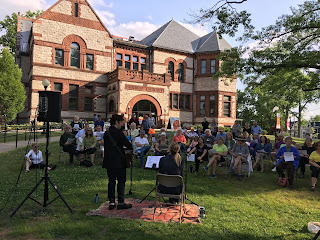 Featuring The Massachusetts Walking Tour, Vernon Valiquette & Liam Hurley, on the west lawn at Forbes Library, and in Pulaski Park with NCMC Band and Western Mass. Fiddle Orchestra, plus: AEIOUkes at both locations! Interested in performing a short acoustic set in the afternoon at Forbes Lawn? FREE for everyone! 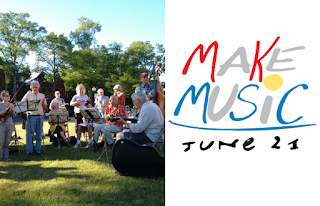 Bring a picnic, bring a blanket, bring the kids, bring a ukulele! 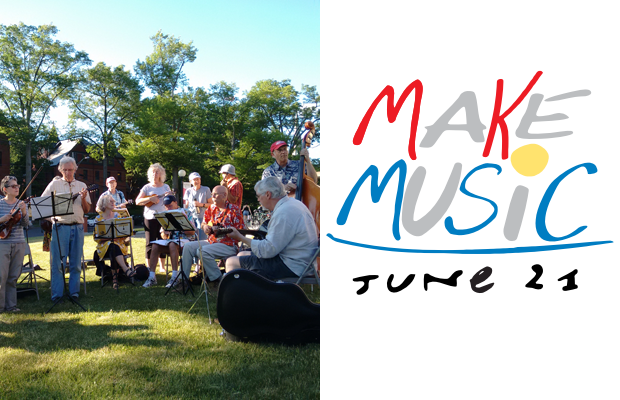 1-5 PM: Acoustic Open Lawn: You make the music! 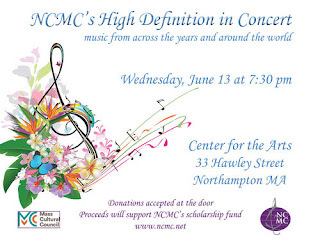 early evening: Fiddle Orchestra of Western Mass. 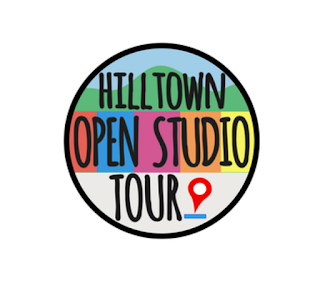 The Hilltown Arts Alliance is pleased to launch their first ever Open Studio Tour this spring and welcome visitors to view their work as well as the great beauty of the region. The tour will wind its way amongst majestic mountain views, streams, timeless backroads and old growth forests to visit the work places of some of our finest artists. Guests will get a glimpse into both the creative process and the physical work which make up the daily lives of these creative and visionary “Hilltowners”. 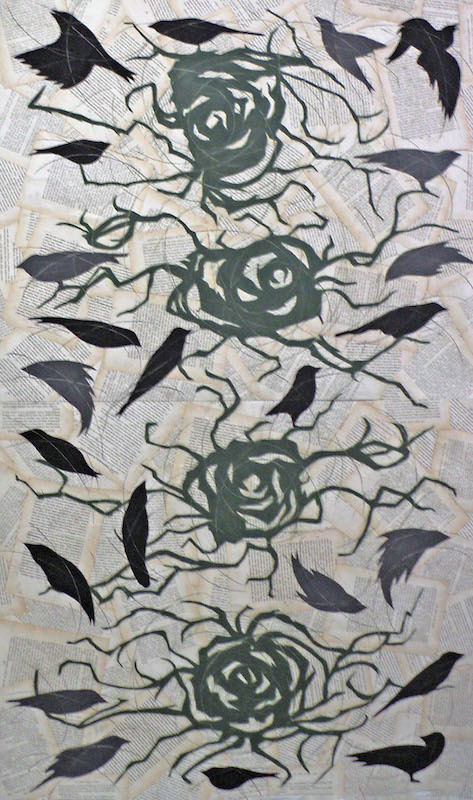 There will be 26 artists participating at 24 locations, plus a group exhibition at the Cummington Community House Gallery. 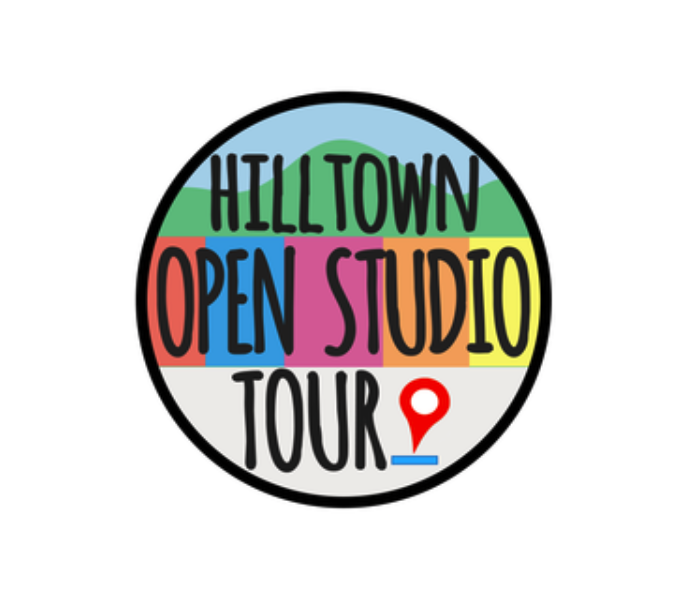 Hilltown Open Studio Tour is taking place in the towns of Chesterfield, Cummington, Plainfield, North Chester, and Worthington. This is the first year of what is hoped to be an annual event. "As artists we spend hours alone working in the studio creating our art. 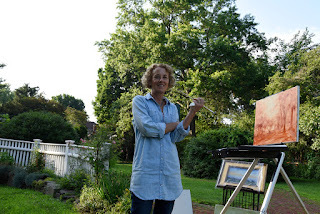 We welcome the opportunity to share it with the public and give them a glimpse into our private workspace,” explains participant Peggy Klineman for her passion to make this event part of the Hilltown arts scene. The weekend will include unique workshops and demonstrations– please see the website for the full schedule. If you would like more information about this topic, please contact Kate Bavelock at kateb@hilltowncdc.org. WHERE: Main Street, Downtown Northampton, MA. Join us for a downtown Northampton Summer Block Party! We’re closing Main Street and filling it with family-friendly entertainment, live music and more! 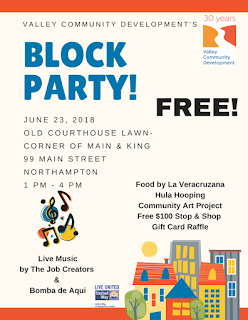 Jesus Pagan and Conjunto Barrio will perform on lower Main Street, near Dirty Truth and La Veracruzana. New this year there will be a rock climbing wall and bounce house! Look for them near Sam's Pizza and the Green Bean. Wonder what else you'll find? 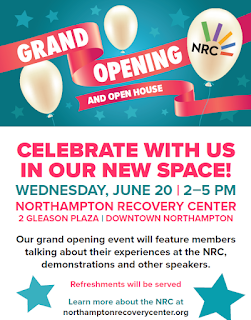 Please check the Northampton DNA website and facebook pages for regular updates. WHERE: Karuna Center for Yoga & Healing Arts 25 Main St, 3rd Floor, Northampton, MA. 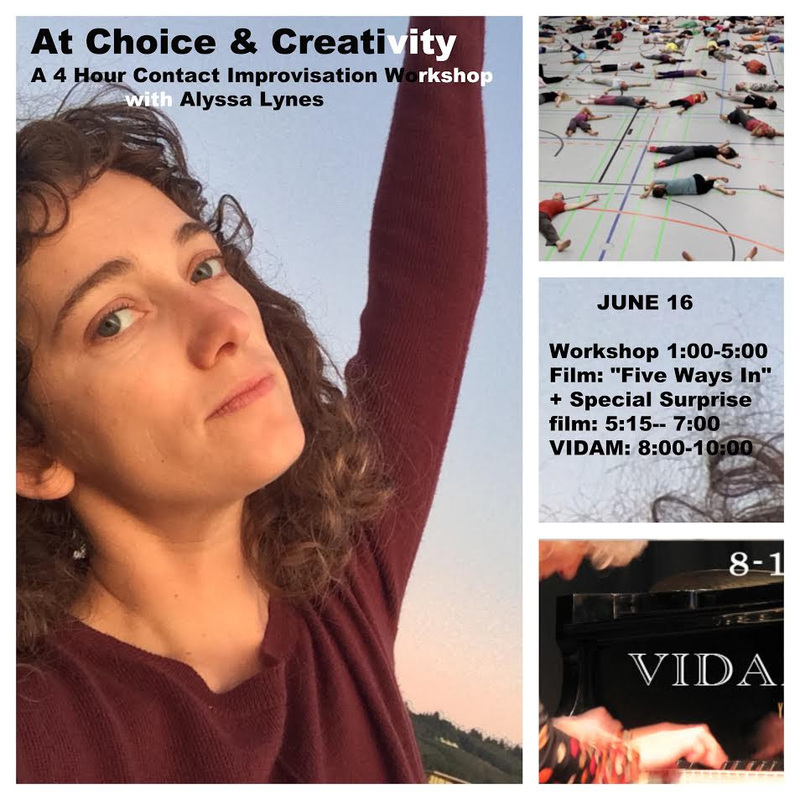 Alyssa has been teaching Contact Improvisation internationally and this will be her first Northampton Teaching. 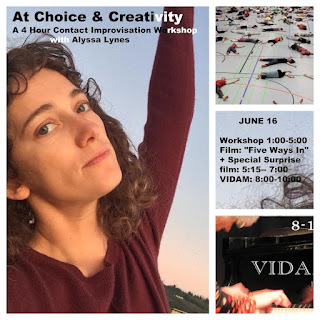 Get ready to dive in deeply to more creative choices and playful connections! 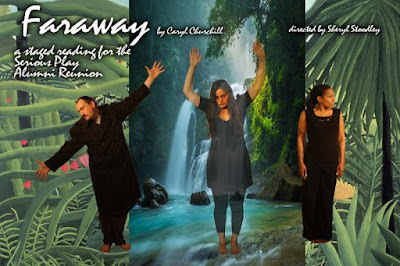 Alyssa was one of the co-directors of the film 'Five Ways In'. She is excited to share it after we watch the film "Fall After Newton". She will facilitate a short discussion of what the founders of CI were exploring and how we experience CI nowadays. 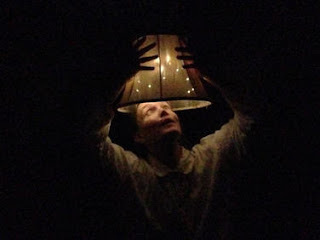 This afternoon will give us a range of textures to improvise with at VIDAM in the evening. It's a great weekend of Movement choices in Northampton, MA Come for one event or stay for the weekend! Recent news has reminded us that the nonprofit cultural sector is not immune to problems of sexual harassment in the workplace. We have reached out to our sister state agency, the Mass Commission Against Discrimination (MCAD), to offer education and training to ensure our cultural nonprofits are meeting the highest standards in sexual harassment prevention. The trainings will be presented by Jeremy Scheiner of MCAD. In each region a morning session and an identical afternoon session will be offered. Please register for one session as soon as possible if you are interested in participating as each training will be capped at 40 participants. Description: This specialized training focuses on sexual harassment in the workplace. The course touches briefly on overview topics: the protected identity categories, disparate treatment, harassment (both sexual and non-sexual), disability/religious accommodations, liability, and the MCAD process. After getting a quick overview of Massachusetts anti-discrimination law, participants will do a deep dive into techniques and tools for addressing sexual harassment. Topics include: nuances in the sexual harassment legal standard, reviewing your organization’s sexual harassment policy and code of conduct, and bystander intervention. About the Trainer: Jeremy Scheiner is the Director of Training for MCAD. As the Director of Training, Jeremy is charged with all training, outreach, and education efforts across the Commonwealth on behalf of the MCAD. Since he started his role, Jeremy has conducted approximately 100 trainings and trained over 2,000 people. Jeremy started his career as a 4th grade teacher in Lawrence, MA. After spending several years in the classroom, Jeremy began working with adults as a full-time diversity, equity, and inclusivity trainer. Among many things, Jeremy designed and led over 50 diversity, equity, and inclusivity professional development sessions for over 450 professionals. 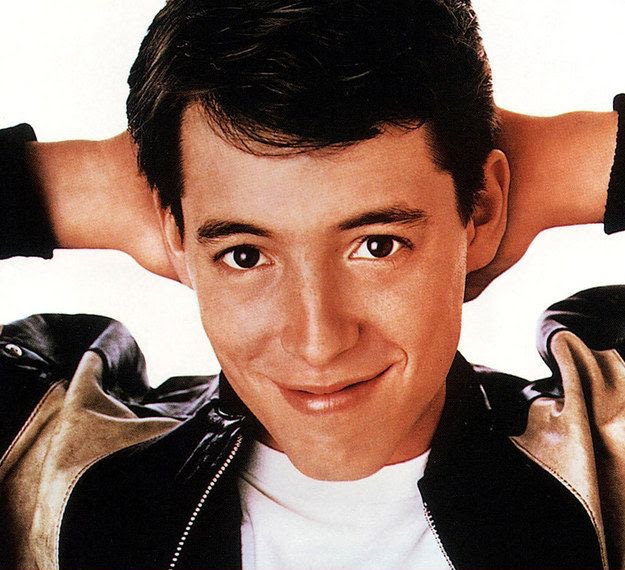 Jeremy has an M.Ed in Curriculum and Instruction from Boston University and a B. A. in Education Studies and Women’s Studies from Washington University in St. Louis. The Northampton Public Schools will be hosting the local area's first Unified Special Olympics School Day Games on June 11 from 9:30am-12:30pm at Northampton High School. Students from eight local districts will participate in accessible and modified events including throwing, jumping, yard games, relay races, and an obstacle course. This is a milestone year for Special Olympics as they are celebrating their 50th anniversary, and they are excited about the partnerships that have been built in the first 50 years and are looking forward to the new growth and opportunity in years to come. While NPS has hosted the School Day Games in the past, this is the first year when the events will be unified, having students with disabilities participating on teams alongside their peers without disabilities. The goal is for students to participate in sports together as peers and equals. 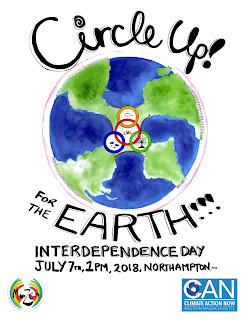 Over 25 students from Northampton High School are volunteering to run the stations, and over 200 students will be participating as athletes. Students have been part of the planning process to help ensure events are accessible to those with physical disabilities. For example, the wood shop department of NHS is providing a catapult for students who cannot throw a ball that will allow them to press a switch to launch a ball across the field. The Unified School Day Games is an exciting entry into the field of Unified sports for NPS, as other schools in the area have added Unified Sports teams, and NHS will be starting a Unified Basketball team this coming fall. The School Day Games will include an opening ceremony with the National Anthem performed by an NHS student, and the Northampton Arts Council and faculty from NHS are teaming up to provide music (chosen by student participants) to be played throughout the event. NPS is proud to be hosting the event and grateful for partnering with Special Olympics. Special Olympics MA is a year-round organization offering inclusive sports and training opportunities in 23 sports across the state. To get involved in your local community visit www.specialolympicsma.org for more information. Rain Location: The Parlor Room 32 Masonic St. Northampton, MA. 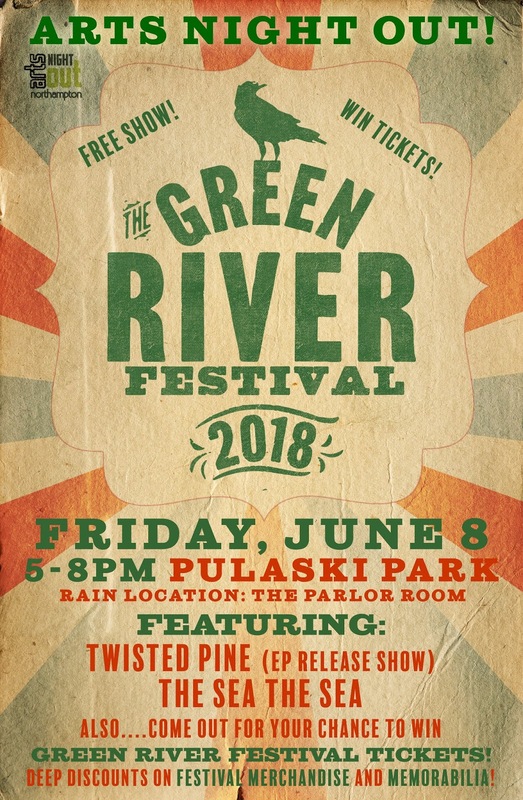 Free Show! 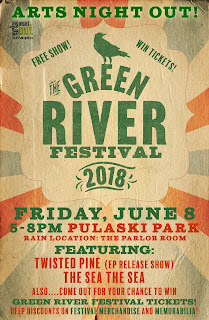 Come out for your chance to WIN TICKETS to Green River Fest! Deep Discounts on festival merchandise & memorabilia.